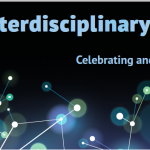 The second Interdisciplinary Research Week (IRW) is being held from 25th to 29th January 2016. Join us at one or more of these free events to celebrate the breadth and excellence of Bournemouth University’s research, across it’s many disciplines. This five day event includes a programme of lectures, art based events, film, discussions and healthy debate all designed to stimulate new ideas and examine important societal issues from across the globe. Events also include funder visits from the Wellcome Trust who will be talking about their most recent collaborative project ‘Hubbub’ and why working across various disciplines, sectors and organisations is important to them as funders; and the British Academy who will share emerging findings from a project they are carrying out on interdisciplinary research. They are looking at how the whole higher education and research systems supports such research in terms of publishing, research funding, academic careers, teaching and beyond. The IRW events are open to everyone (only one event is for BU academics and researchers only). Do check out the whole programme of events to see what might interest you and publicise the week to your friends and family.